I have been bombarded recently with the subject of trash. It made me think about what constitutes a good neighbor. Have you ever thought about whether you are a good neighbor? If so, what would your answer be? I certainly like to think I am a good neighbor, but am I willing to put a few more dollars out to prove it? That is the real question. After some research, I realized I am. I have come to the conclusion that even though it would cost me personally more money to have this trash service, it is worth it. Why is Los Angeles County trying so hard to expand the Chiquita Canyon Landfill here in the greater Santa Clarita Valley? This area already has Sunshine Canyon Landfill at the south end and the scheduled-to-close, 43-year-old Chiquita Canyon Landfill on the northwest end. Why do we need to expand Chiquita Canyon Landfill if there is so much space left all over Southern California and an additional giant site in Imperial County just waiting for the trash? The answer is now clear to me. My neighbors are not willing to pay more to keep the trash out of our beautiful valley. They are not good neighbors, in my opinion. The way I see it, the greater Santa Clarita Valley can’t afford to let Chiquita Canyon Landfill expand. By paying more for trash service, we have the opportunity to see the following: Our property values will increase, our air quality will improve, our groundwater quality will be less at risk, our residents will save on medical care and medication, we will have reduced truck traffic and diesel fumes going through our valley to and from the landfill, and we will have the peace of mind that comes with not living, working and playing in close proximity to another open landfill. The choice is obvious to me: Don’t expand Chiquita Canyon Landfill. Our valley has already served its time and paid in to the trash system over the past 43 years that Chiquita Canyon Landfill has been open and operating. There are existing options out there. Now ask yourself again, are you a good neighbor? Will you pay more for your trash service to benefit all of the greater Santa Clarita Valley area? I will. Will you join me? For more articles and information about the giant proposed Chiquita Canyon Landfill expansion, please visit Citizens for Chiquita Canyon Landfill Compliance at www.C4CCLC.com. Abigail DeSesa is a 15-year resident of Castaic, 2014 valedictorian of College of the Canyons, and a volunteer turtle and tortoise rescuer. We already paid for it. Now you want us to pay even more ? I don’t want the Chiquita landfill, and I have paid enough already. Your article has so much truth ! I am a 23 year resident of granada hills living below and in direct wind direction of odors from Sunshine Canyon Landfill. We as a group have been fighting for the closure for over 4 decades as Nodump.com and the North Valley Coalition. I generated a petition on change.org and have only 77 signatures to date. Also have contacted county supervisor mike Antonovich, mitch englander local councilman and city officials regarding our noxious odor problem increased since 2008-2009 when current operator republic took over. We report to the AQMD constantly and the dump received) notice of violations costing them 8400 each time now have paid over 450,000 to keep a dump operating that can’t control trash and gas odors that no one wants to live near based all the issues you brought up when there are other options available ! Would love to meet with you and your group and try to make a bigger stink against this appalling use of our backyards! 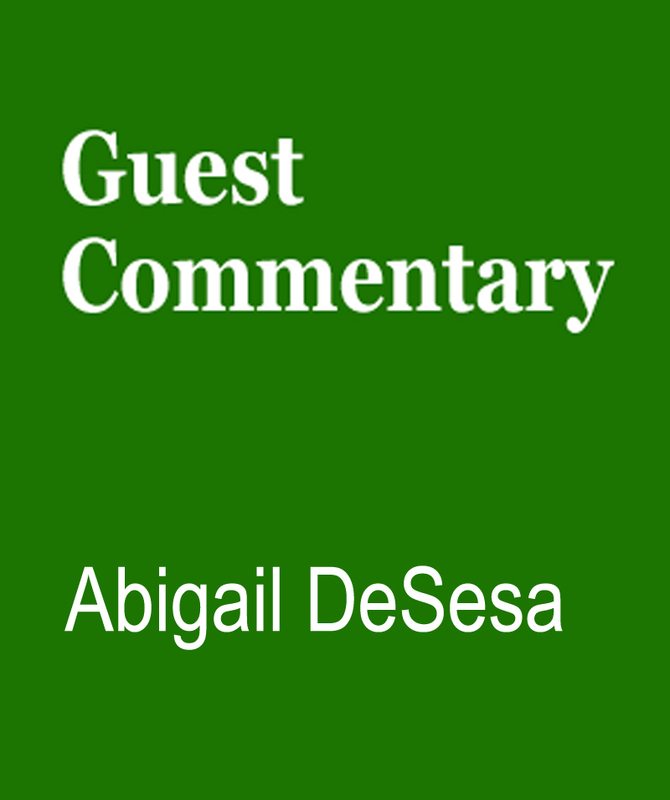 Great commentary, Abigail, and I agree. It’s worth a little extra money to keep landfills away from our towns, homes and our children. There are easily obtainable documents, all over the internet, verifying the damage that has been done to towns and its people caused by landfills, and the poisons they release all around them in the air, water and soil. For more information and opportunities to support the people who are working to stop this giant expansion you can go to http://www.C4CCLC.com OR you are always welcome to stop by our monthly town meeting. It is held the second Thursday night starting at 7:00PM at Val Verde Park in the Clubhouse. Make sure to introduce yourself and let everyone know why you came. Love to meet you too – thank you for reading. Would love to attend and join forces against these mega dumps! There is an ad on tv touting the ability of trains to carry tons of cargo for very little fuel/cost. I would like to see the numbers that make the train “too expensive to use”.